Bright red coral. A huge population of dugongs. Schools of barracudas. Huge manta rays. Nesting hawksbill sea turtles. Shark sightings. Birds not found anywhere else in the world. Flocks of graceful flamingos. Are you curious where this pristine marine ecosystem is yet? Surprisingly, it’s in Sudan. The North African country is largely unexplored. Civil wars, ethnic cleansing, and slavery ensured it wasn’t on the well-trodden tourist trail. The Christian south and the Muslim north battled over just about everything. But in 2011, the third-largest country in Africa finally divided into Sudan and South Sudan. The split didn’t immediately alleviated all the tension. No one really expected it would. But for the first time in a long time, there was hope for eventual peace. Just five years after the split, Dungonab Bay – Mukkawar Island Marine National Park was named a UNESCO World Heritage Site. The area, which is part of the Red Sea, was first named a national park in 1990. It was Sudan’s first. Dungonab Bay, Mukkawar Island, submerged coral reefs, and empty beaches were protected for the first time. Mangroves, seagrass beds, and small islets were, too. It covered more than 2,600 square kilometers. Plus it started bringing tourists to this long-overlooked coastline. 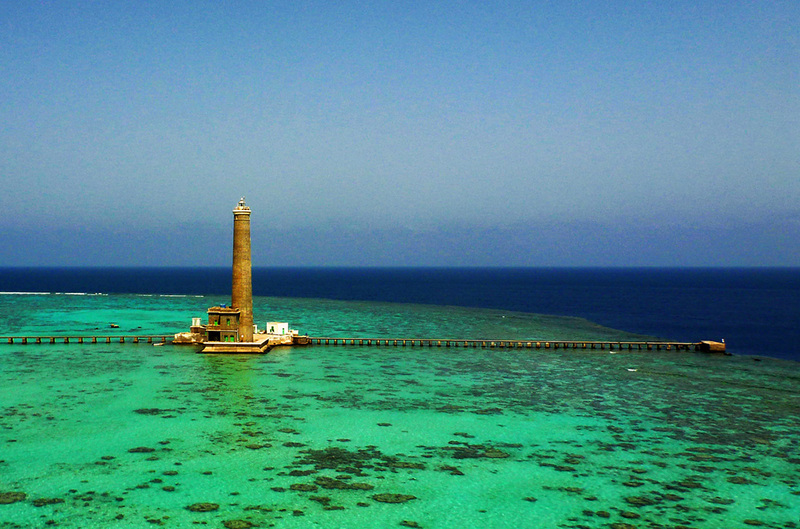 Most visitors fly to Port Sudan on Sudan’s northeastern coast. The city was founded when the British linked the Nile River to the Red Sea by rail in 1909. It became the largest port in the country. Snorkeling and scuba diving spots start just outside of the city. But the best spots are 130 kilometers to the north. Boats, which become your floating hotel, regularly leave Port Sudan for Dungonab Bay. As you sail north, you’ll start to put your wish list together. Angarosh Reef, which locals call the Mother of Sharks, is home to hammerhead, grey reef, silvertip, and tiger sharks. There’s a small wreck southwest of it in gorgeous Merlot Reef. Abingdon Reef is remote and full of barracudas. While triangle-shaped Pfaiffer Reef, in the far north, has the most colorful coral. The islands are nesting spots. Hawksbill sea turtles on Mukkawar Island. Crab plovers, which are only found in the Red Sea and East Africa, on the islets and the muddy shoreline. Plus a lone lighthouse, built by the British in 1958, has spectacular views over the crystal-clear water. Sudan refuses to be overlooked any longer.